Thomas has a strong commercial / chancery practice with particular emphasis on pensions, insolvency and commercial litigation (including IT matters). He has been recommended as a leading junior by The Legal 500 and Chambers UK for several years. He has been nominated as “Insolvency / Restructuring Junior of the Year” at the Chambers UK Bar Awards and was ‘highly commended’ in Legal Week’s “Stars at the Bar”. 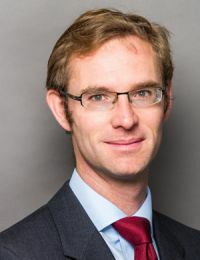 His six month placement with the commercial litigation department of a firm in Guernsey at the outset of his practice gave him experience of off-shore litigation as well as direct exposure to a wide range of clients. Thomas has been recommended in the legal directories for a number of years. Recent entries include: “A skilled advocate and negotiator who consistently provides clear, pragmatic legal advice.” “Super-bright.” (Pensions, Chambers & Partners 2019); “Has a very efficient, linear mind, and structures his arguments extremely well.” “He’s extremely bright and makes everything easy to work through, even if it’s complex – nothing rattles him. Very organised in his approach, he knows exactly what he’s doing and when he’s doing it.” (Chancery: Commercial, Chambers & Partners 2019); “He is very thorough, concise and a great team player. He is very confident, persuasive and takes a very commercial approach.” (Restructuring / Insolvency, Chambers & Partners 2019) “A shrewd junior who is an excellent team player” (IT & Telecoms, Legal 500 2019). “An outstanding team player with a really astute commercial ability” (Insolvency, Legal 500 2019). “He is highly intelligent and excellent on his feet” (Pensions, Legal 500 2019). Contributor to Cases Alerter for Corporate Rescue and Insolvency (Lexis Nexis). A skilled advocate and negotiator who consistently provides clear, pragmatic legal advice.